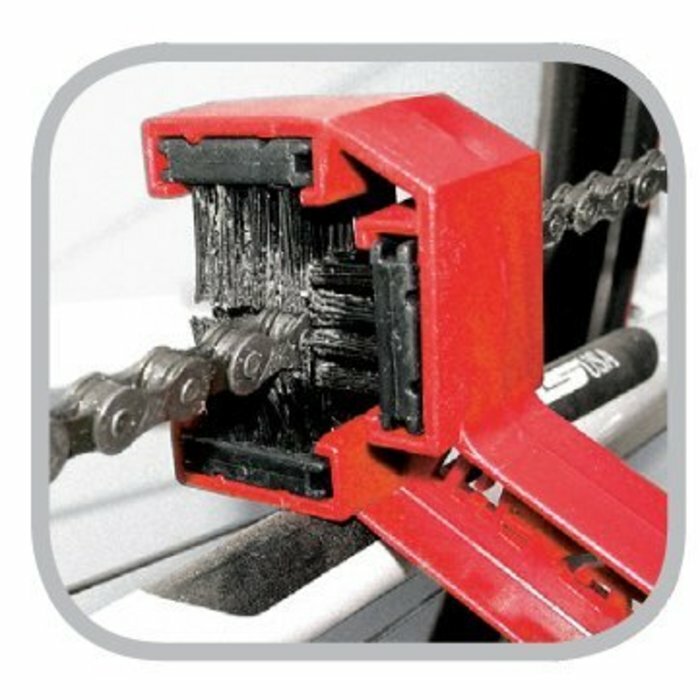 Regular component cleaning prevents premature wear and tear on chain and sprockets, eliminates chain skipping caused by dirt and grunge, and assures smooth operation of drivetrain and brakes. 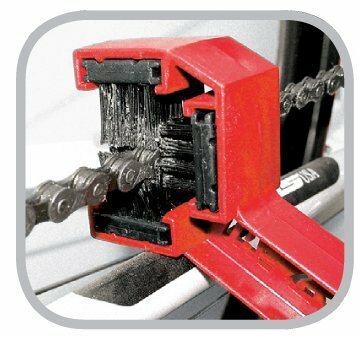 The Grunge Brush™ can be used dry or for deep cleaning action, use it with Citrus Bike Chain Degreaser or Multi Bike Degreaser, by simply spraying degreaser onto the chain or directly onto bristles. 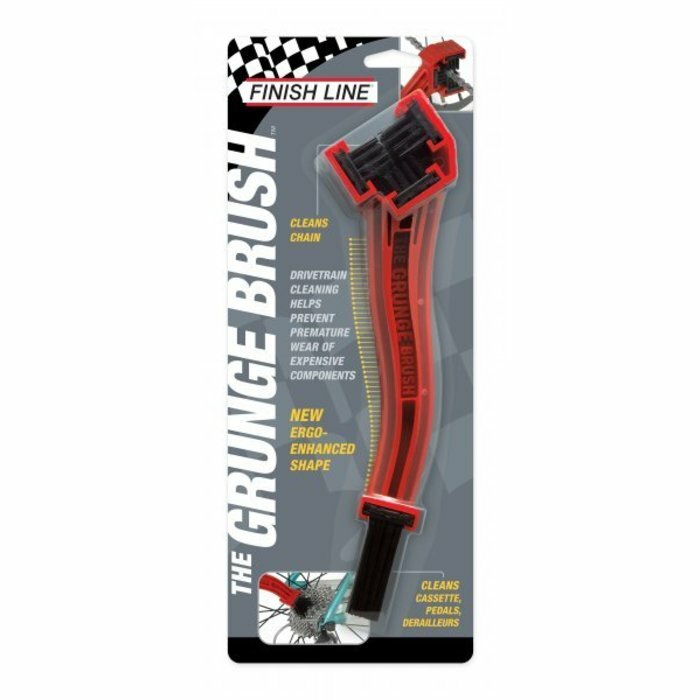 Grunge Brush™ scrubbing action, coupled with a Finish Line bike degreaser, will leave your drivetrain looking like new!